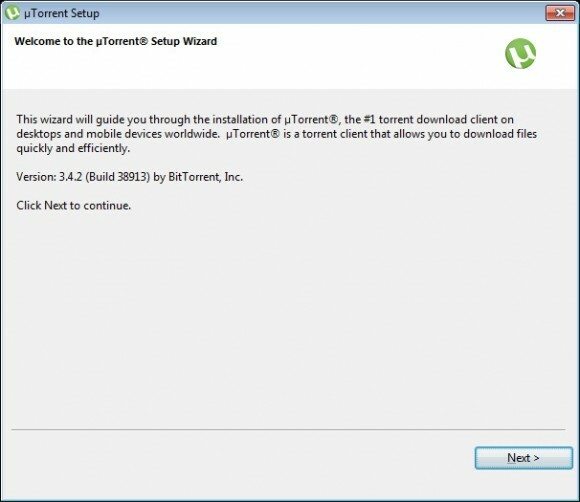 Based on user reports it seems that the popular BitTorrent client uTorrent in its latest version also installs a crypto mining software that uses the processing power of the computer it is running on to mine crypto currencies. The latest update version 3.4.2 of the uTorrent apparently installs a CPU miner from Epic Scale without asking or telling the user and this is the actual problem. If during the installation the user was asked if he wanted to install the software and warned what it is going to be doing using computer resources. When a crypto mining software gets installed without a user consent it is never a good thing and the people behind the software BitTorrent client apparently learned this the hard way as the news broke out. You can still download and install the version 3.4.2 of uTorrent by BitTorrent from the official website, but it is no longer offered as an update if you are running an older version of the software as it was a bit earlier today. Also it seems that uTorrent has taken down their official forums as they were cited as a source for users complaining about the issue with the crypto mining software. In the end it does not matter how well the company handles the issue, it is already too late and many users of their software will no doubt switch to other alternative solutions.